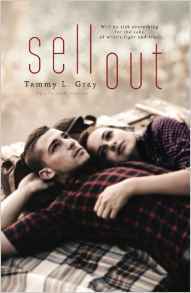 I have read almost every single book written by Tammy L. Gray, and I absolutely LOVED them all but none have had the impact on me that Sell Out did. It was fantastic! Cody James is a guy who just wants to fly by. After being a victim of bullying at Madison High, all he wants to do is finish his time in school and get out without being cast from the social inner circle. However, with the addition of a beautiful, new student in class, Cody begins to question his role. All Skylar Wylde wants is normal. Being rock legend Donnie Wylde’s daughter does not leave much room for normalcy, but she hopes that Madison High can offer her some kind. When she catches the eye of the elite circle’s “king,” things become strange in both her life and Cody’s. I really enjoyed this book! I never realized that stories about bullying could be so intense. Once I started reading the story, I could not put it down! Cody’s story on its own was interesting, but with the addition of Skylar’s story and general high school drama, Sell Out was just awesome! Every spare moment of my time was spent reading this story. There were so many elements of the plot that I had to have answers to that I could just not stop reading. Ms. Gray has woven together a wonderful story that all should read. She includes not only the social impacts of bullying, but also the psychological impacts. Words and actions cut a lot deeper than most realize, and Tammy L. Gray has shown that in her novel. I highly encourage that you read this book, whatever your age; there is a lesson for everyone in Sell Out.